Some players still can not get used to the Pocket interface. 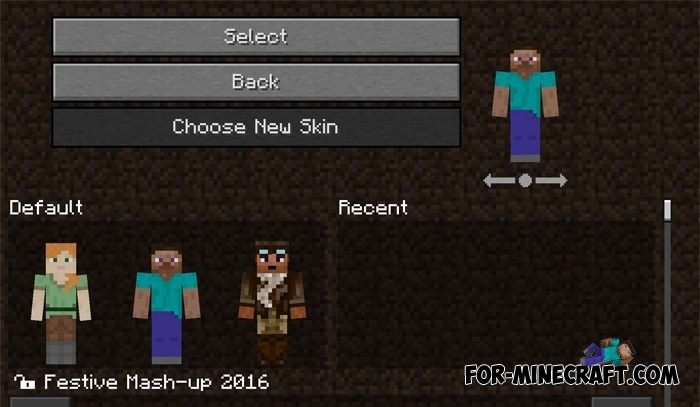 This texture pack was created for just such people. It transforms the game and make it similar to "the older brother". 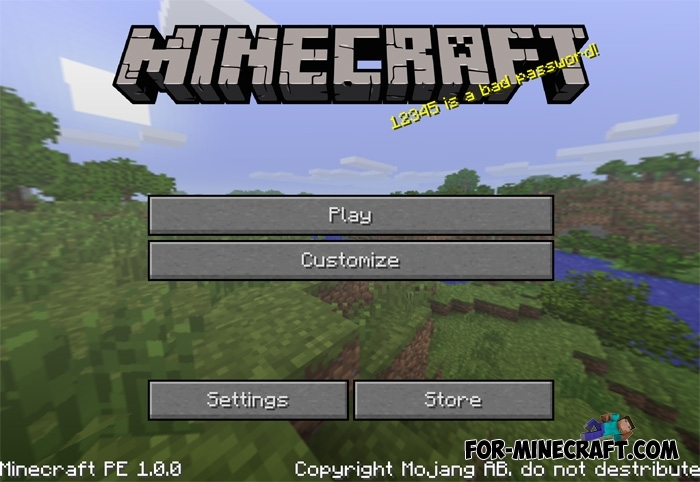 Even the main menu now looks the same as in Minecraft PC. After the recent release of MCPE 1.0.0, developers added a lot of items, mobs, structures and other features of the PC version, so PC and Pocket versions of Minecraft are becoming increasingly similar after each update. These two versions will be almost identical in the near future (you can see some information about Minecraft PE 1.1 (0.18.0)). Many bug fixes, support for 1.1 is improved. The exit button is added and the back button is also removed while working with a mouse. In addition, fixed bugs with the display of some buttons. Some sounds have been replaced by new ones (objects and sound effects for weather conditions). Now the player's parameters are displayed correctly. There may still be errors. It takes Minecraft PE v1.0.5 and higher to make this version work stably. Sounds ported from MC PC! So far, there are only sounds for some mobs, liquids and actions. Perhaps the next update will add everything else. Updated skins menu but there are minor problems with optimizing for mobile screens. Pay attention to the water, it has PC look. It fixes many bugs such as incorrect layout, navigation buttons. Optimized for medium-sized screens (640x480) as well as new features. The main innovations are the animation of liquids, interface, skin selection and loading screens. 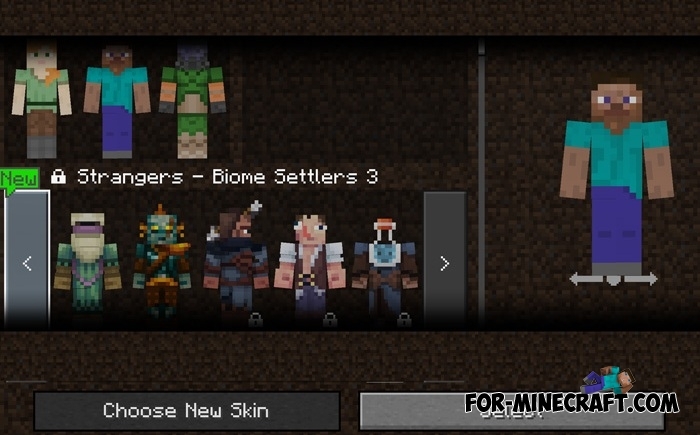 Skin packs are divided and displayed in the new menu. The most important feature are the location of health and hunger bars. It looks like in the PC version of Minecraft. The author adds a new setting menu and the menu of worlds in the next version. If you have not played the PC version of the game, then you will likely be disappointed. Since the interface is unusual for you, and even inconvenient. How do I add the texture to my minecraft ??? Please put credits in your post.